A ws to used within the first weeks of teaching the topic of the body. It has a cloze text, a spelling task, and a plural task. 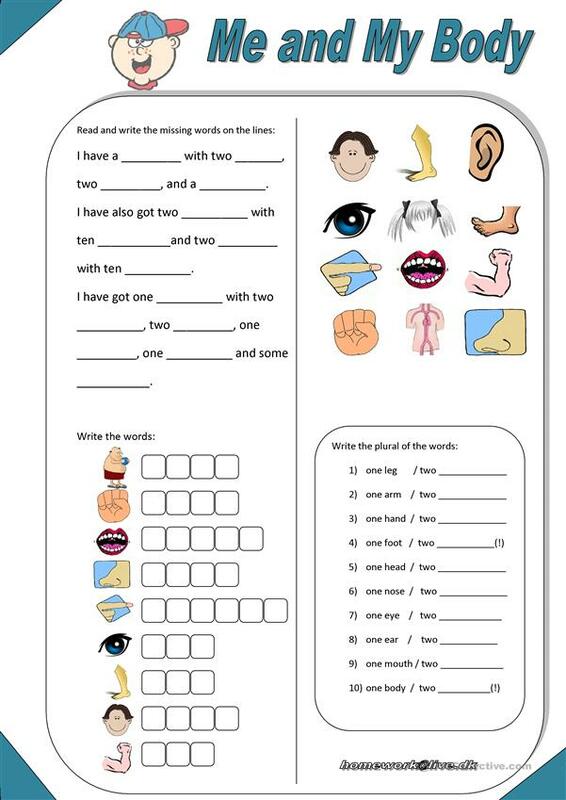 The present downloadable worksheet was created for elementary school students at Beginner (pre-A1) and Elementary (A1) level. It is excellent for strengthening your groups' Writing skills. It is about the vocabulary topic of Body.